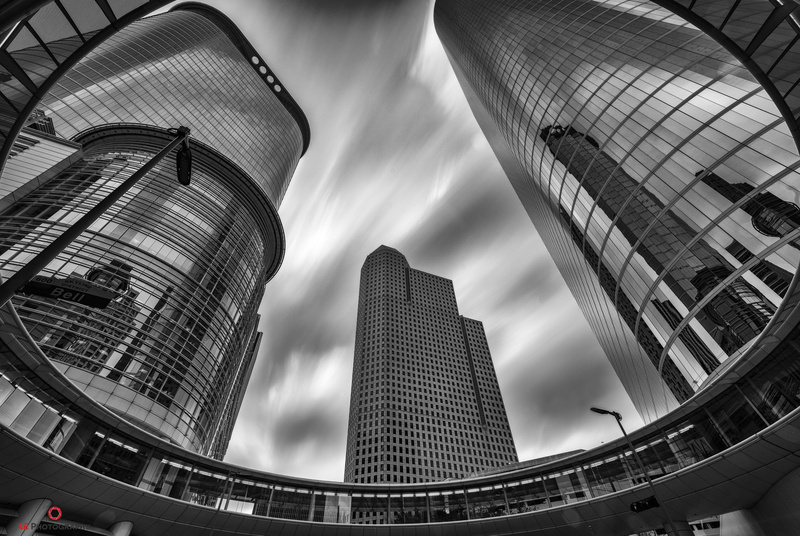 A black and white conversion of downtown Houston's skyscrapers and pedestrian pavilion. Fine work indeed - brilliant compo and tonal quality. cool. . finally a black and white architectural photo with an interesting and not over-to-top composition.